Use our online solutions to bank smartly, on your time and from nearly anywhere on the globe. For all of us, life can be hectic at times and not always at the pace we’d prefer. That’s why we’ve crafted a secure online banking solution built for ease and convenience. Already have a TIAA Bank account? 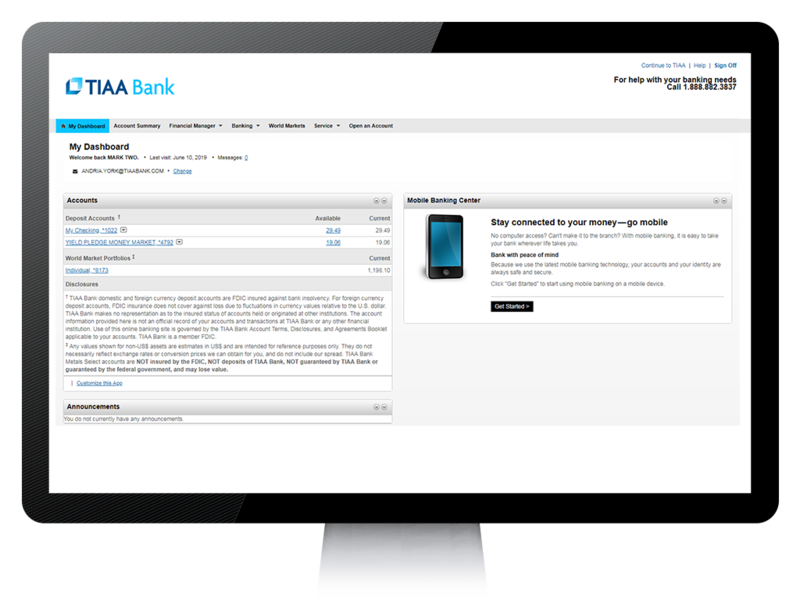 The power of online banking is right at your fingertips. Register today for 24/7 access to your money. 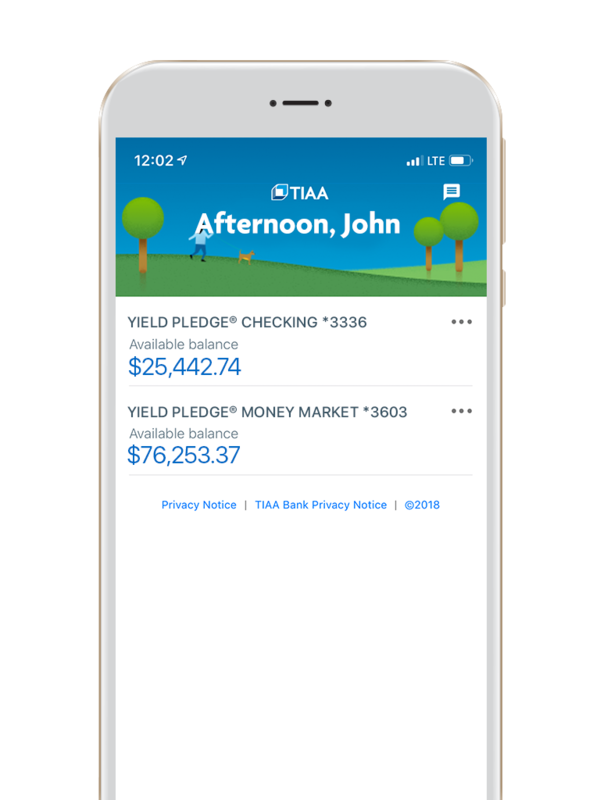 Send money to friends and family with a bank account in the U.S.
Get the TIAA mobile app and have your most frequent banking needs squarely in the palm of your hand.